Sean is proud to be a third generation Colorado Native and Denver resident, he has loved, studied, and played music since he was a young boy. In his studies he has received numerous Awards and Scholarships for exceptional performance while studying music throughout High school and College. 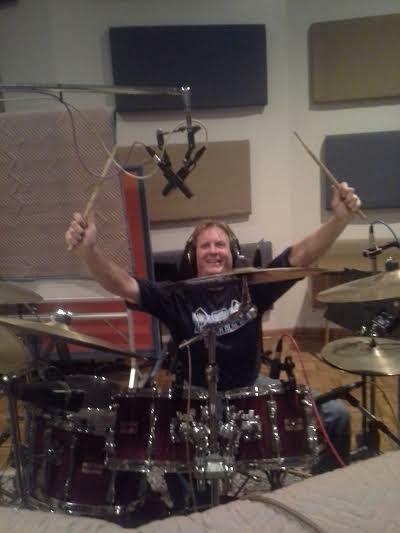 He has a broad background when it comes to Drums and Percussion which includes playing and leading marching Band drum lines to studying Orchestral percussion, Percussion for Musical Theater, Auxiliary percussion, Drum Kit and hand Drums. He has been blessed to be able to share the stage and brush fins as both a sideman and Band leader with many class “A” musicians on both on a Local and national level. THE SPIN has been his ongoing musical project even prior to 1998. In his private life, he tries to focus his energy on his close friends and family, especially his two Daughters. He has a strong connection in Colorado to the conservation and protection of “OUR” Wildlife, Watersheds, Open Spaces and Public lands.